Culinary travel or food tourism is the packaging of travel product and services with food-and/or drink-specific destinations, sites, attractions or events. One of the primary purposes of culinary travel is to experience the unique food and drink of a particular region, area or culture. 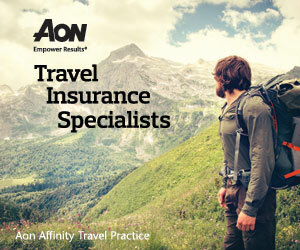 48% of NTA tour operators offer culinary travel product. 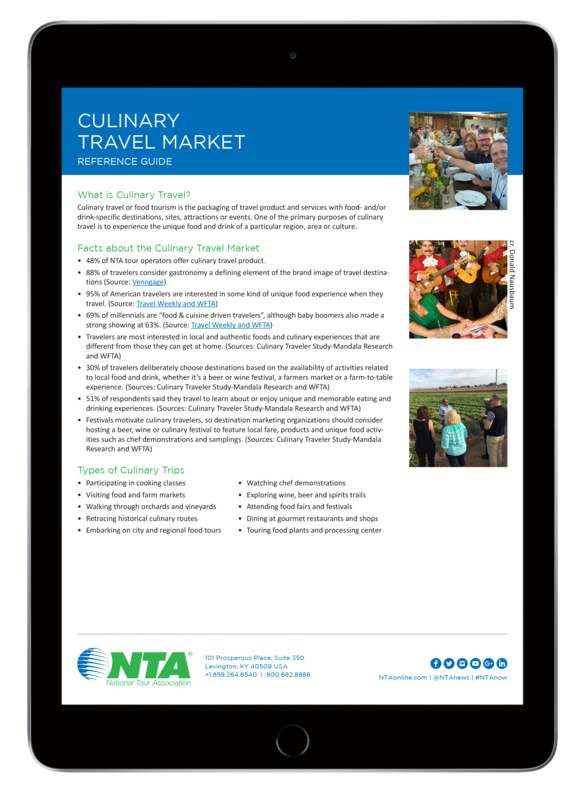 NTA and the World Food Travel Association have a partnership that brings together the WFTA’s global food tourism community with NTA’s packaged travel resources and membership. NTA Senior Vice President Catherine Prather represents NTA on the WFTA Board of Advisors.